University of Scouting this month will have tons of courses to take – and among these courses is something new: an arc of three courses about sustainability. Why is sustainability important? Special reports by a United Nations panel (October 2018) and the U.S. Government Fourth Climate Assessment (November 2018) stated that if we continue our current gas emissions track, by 2040 the atmosphere will have warmed to 2.7 degrees above pre-industrial levels. This will lead to inundated coastlines, and intensified droughts and poverty. Why does this matter? Well by 2040, the oldest current member of Scouts BSA will only be 40 years old. Is this the kind of world they would want to inhabit? How can they deal with the changes that have already occurred? According to vice.com (September 2017), by 2050, Phoenix will be almost unlivable, with the number of 100-degree days skyrocketing to 132. A University of Maryland study (February 2019) shows that by 2080, the weather in St. Paul, will be like Omaha is today! So, if you care about your future environment, you will want to understand what sustainability is and what you can do today to help. This arc of sustainability courses is a good place to begin. Learn what Sustainability is, why it has always been a part of Scouting, and why the need for Scouts acting to improve the world around them has reached a crisis point. Discussion of two Scout-led sustainability projects by the Scouts who led them. One is about preserving honey bee habitat. The other is about grey water disposal. These projects may seem small in scope, but they have had a great impact on the environment. These projects also helped them earn Hornaday Awards. Learn about the importance of water in your life and how to maintain access to it for yourself and future generations. Have some fun and learn techniques that will save you money while you save the environment. 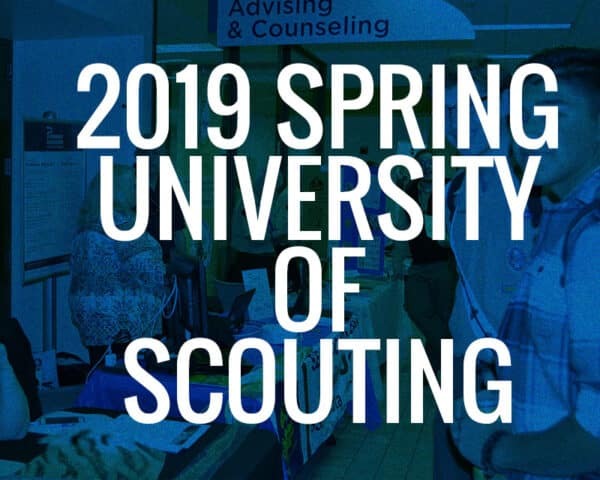 Please plan to attend the 2019 Spring University of Scouting and consider taking these courses. The need to act is now. 2040 may seem like it is in the distant future. However, consider the fact that no current member of Scouts BSA was alive in 2000. Where did the time go? Where is our environment going?